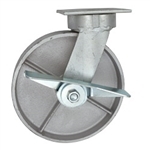 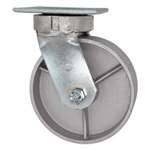 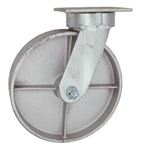 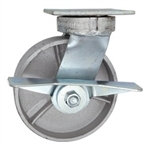 6" Kingpinless Swivel Caster - Semi Steel Cast Iron Wheel - 1,200 Lbs Cap. 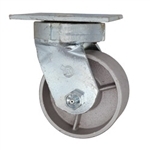 6" Kingpinless Swivel Caster - Semi Steel Cast Iron Wheel with Ball Bearings - 1,200 Lbs Cap. 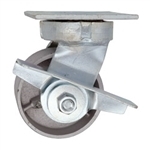 6" Kingpinless Swivel Caster with Brake - Semi Steel Cast Iron Wheel - 1,200 Lbs Cap. 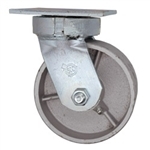 6" Kingpinless Swivel Caster with Brake - Semi Steel Cast Iron Wheel with Ball Bearings - 1,200 Lbs Cap.